In Part 1 of this article we drew a rough outline of what “Probation” means. In Part 2, we saw how Macomb, Wayne and Oakland Counties were each different from on another, with Macomb being the best in which to face a DUI, Wayne being not far behind, and Oakland really coming in as the last place one wants to wind up before a Judge after a Drunk Driving Arrest. In this third and final installment, we will look at both standard and “special” conditions of Probation, and try and get a feel for what being “on Probation” for a DUI case really means. At this point, we can move on from our County-by-County comparison, and examine what “Probation,” and being on it (especially for a Drunk Driving charge), really means. Probation begins with the Judge signing an Order, which is a document called an Order of Probation. Not violate any criminal law of any unit of government. Not leave the state without the consent of this court. Make a truthful report to the probation officer monthly, or as often as the probation officer may require, either in person or in writing, as required by the probation officer. 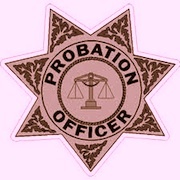 Notify the probation officer immediately of any change of address or employment status. Not purchase or possess a firearm. Not use or possess any controlled substances or drugs without a valid prescription (medical marijuana is specifically prohibited by many Courts). Not to be Arrested or Charged with any crime. No conviction is required. Not to enter into any bars, or establishments whose primary purpose is the selling of alcoholic beverages. Not to drive a motor vehicle without a valid License. Probation is often thought of as kind of an order to just “stay out of trouble,” and to a large extent, that is true. However, in a DUI case, a person is quite likely to be required to do certain things beyond just not getting in trouble. Some of these things are pretty standard, while others are unique to either the particular case, or the Judge presiding over it. Pay all Fines and Costs (usually on the day of Sentencing; sometimes, time to pay is given). Complete an alcohol Impact Panel, or a Victim Impact Panel. Complete an alcohol awareness or education class. Complete an alcohol highway safety of driver intervention course. Maintain or seek full-time, verifiable employment, or be enrolled is full time school, or a full time combination of both. In Oakland County, almost every Court requires alcohol and/or drug testing while on Probation, or for at least a part of it. Macomb and Wayne County Courts sometimes impose a testing requirement, but never to the extent imposed by the Courts in Oakland County. Usually, if a Macomb or Wayne County Court requires testing, it will be for a specific period of time, not the entire duration of a person’s Probation, and it will usually be required less frequently than it would be in Oakland. Many Oakland County Courts, and a few Wayne County Courts require some community service, or some time on the Court work program. With the occasional exception of the Court in Romeo, community service and/or a work program is NEVER Ordered in Macomb County. A Judge may Order other things that are relevant to a person’s case. If a person caused an accident, repaying the other party, or the owner of any property damaged may be part of a person’s Sentence. Thus, if a person ran into and damaged a STOP sign, they will likely be Ordered to repay the city for the repair and/or replacement of the sign. This is not an exhaustive list of the things that a person can face when being placed on Probation for a DUI. It is always up to the Judge to decide what a person is not allowed and forbidden to do, and what they must get done while under the jurisdiction of the Court. And this really brings us to what it really means to be “on Probation.” As an alternative to Jail, Probation is part opportunity to show that the Judge was right in agreeing to not just lock someone up for a DUI, part opportunity to learn a few things, and part opportunity to make a few life changes. The reader might be surprised to learn that the number of people who violate their Probation is significant. You’d think only an idiot would ever test positive for alcohol after being told not to drink, and that they’d be tested to make sure they’re complying. Yet a lot of people get caught. From the Court’s point of view, this helps expose people who have deep-seated alcohol problems, those who just refuse to follow orders, and those who are just plain idiots. The same holds true for people who pick up a new Offense while on Probation for a prior charge. Beyond just being able to lock a person up in Jail for not following orders, either testing positive for alcohol and/or drugs, or picking up a new criminal case, a Judge seeing this kind of behavior has an opportunity to re-evaluate what kind of intervention or rehabilitation a person needs. Thus, if a person tested out at the PSI stage as not having an alcohol problem, and avoided any kind of classes or counseling, and thereafter tests positive for alcohol, or picks up yet another DUI, the Judge can go back and beyond just deciding to punish them with Jail, Order that they go into some kind of intensive counseling or rehab. The whole point of any Probation is that a person should emerge from it having learned a lesson. In a more perfect world, the mere expense and inconvenience of a DUI, including the Fines, Court costs and Legal Fees, insurance increases and other financial consequences would be more than enough to deter anyone from ever having a repeat performance. All too often, however, it does not, and people make the same mistake again. Probation is an opportunity for the Judge to see how well a person uses their break. And to be clear, Probation is always a break. A person does not have to follow the Judge’s Orders. Instead, they can just do the Jail time, instead. Yet in my almost 22 years of being a DUI Lawyer, I have never met anyone who would rather spend 93 days in Jail rather than not drink, and prove it, and/or attend a few classes. Most people complete Probation without a hitch. Everyone says they will; not everyone does. As the saying goes, however, “the proof is in the pudding.” And that’s really what Probation is really all about.